Description: Joining Dianna for this week's BEACH CORNER is special guest, via Skype, award winning filmmaker Tom Strnad from the Mountain Goat Film Company. 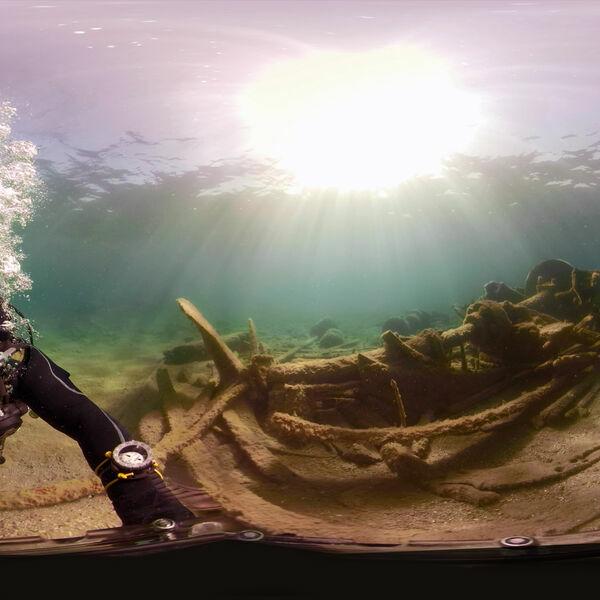 Mountain Goat Film Company, in collaboration with Craigleith Heritage Depot dives deep under water to bring you a virtual experience with a documentary series starting with the Mary Ward Shipwreck 360 Project set for release March 2019. Learn more about this production and future plans from Tom as he speaks with Dianna. Please share this great local programming from Beach BOOSTER Radio. Joining Dianna for this week's BEACH CORNER is special guest, via Skype, award winning filmmaker Tom Strnad from the Mountain Goat Film Company. Mountain Goat Film Company, in collaboration with Craigleith Heritage Depot dives deep under water to bring you a virtual experience with a documentary series starting with the Mary Ward Shipwreck 360 Project set for release March 2019. Learn more about this production and future plans from Tom as he speaks with Dianna. Please share this great local programming from Beach BOOSTER Radio.